Think of the world’s most sustainable types of companies and pension funds might not exactly spring to mind. Storebrand, the largest private pension provider in Norway, is quite an exception, however. The company has been ranked the second most sustainable in the world in the annual Global100 list, and there is a reason why it enjoys such an outstanding sustainability reputation. Storebrand, which manages US$80 billion assets, presented coal divestment criteria which excluded 10 coal companies from its investment portfolio. Why? Because “coal is incompatible with climate targets announced at UN climate talks in Paris,” as the company announced. Sustainable investments are becoming the very heart of Storebrand’s business philosophy, fueled by a responsibility to create long-term returns for its customers and to help tackle global warming. 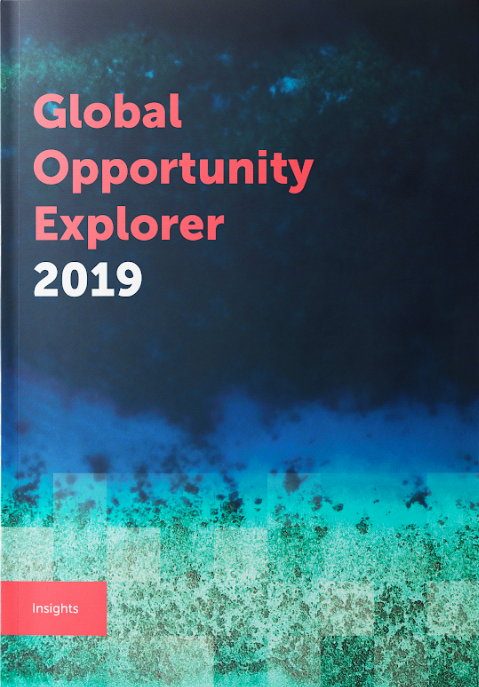 That same level of responsibility and commitment to a sustainable future has also led Storebrand to become a sponsor of Global Opportunity Explorer. One of the architects behind Storebrand’s progressive, sustainable investment strategy is Jan Erik Saugestad, CEO of Storebrand Asset Management. In last week’s announcement, he pulled no punches as he asserted that “the coal industry simply has to go if we are to meet climate targets”. We got a hold of Jan Erik Saugestad to ask him about the future of sustainable investments and Storebrand’s role in it. What does sustainable investment mean to you? By putting ESG factors and the SDGs at the very core of our strategy and at the heart of our brand, we show our commitment to a sustainable agenda. Understanding sustainability issues is crucial to create change and returns. It is a way for us to manage risks and capture opportunities through a better understanding of the environmental, social and governance issues. It is not about ticking boxes or image – it’s value creation. Investing sustainably, and in line with the global agenda, is also the right thing to do. Sustainable investments are often associated with higher risk and longer-term returns. Why are they still a priority for Storebrand? I disagree with the notion that sustainable investments have a higher risk. More information about risks and opportunities allows us to make better investment decisions. In general, growth companies have greater risk than average companies in the market but also better return potential. However, in our mind, growth companies with solutions to future challenges may carry both greater return potential and less risk than average companies. We are convinced that companies that take global challenges seriously will be the most profitable long-term. We are in it for the long run. Storebrand has a €1.1bn Fossil Free Fund. How did that come about? We actually launched our first fossil free funds already in early 2016, in Sweden. We did it because we believed our clients would appreciate the products, and a year and a half later, we were proven right. The strategy behind our fossil-free funds is also motivated by the stranded asset argument: Fossil reserves already surpass the remaining carbon budget for a future compatible with the Paris agreement. Based on this, the fossil-free strategy is to refrain from investing in fossil fuels. In addition, the strategy builds upon projections regarding CO2 pricing that are compatible with fulfilling the Paris pledges. Moving investments from high-CO2-emittors to companies with low CO2 emissions is therefore part of the strategy. What will it take to make more financial institutions divest from fossil fuels? It can be considered as a tool to reduce the general portfolio risk, and for some institutions and clients this is an increasingly important argument. Others put emphasis on the positive impact of reducing the investments in fossil fuels by contributing to the green shift we clearly need. The actual cost of CO2 emissions can also be an argument for institutions to reduce their fossil exposure. More public awareness of “financial emissions” is also important. We challenge governments and municipalities to take lead in reducing their financial emissions. It is important to say that in addition to fossil-free investments many investors, including us, try to engage with companies and challenge them to change. How can financial institutions contribute to reaching the SDGs? Money is a great statement and a force for change. How you invest is casting a vote for the change you want to see in the world. Sustainable leadership means leading with the bigger picture in mind, understanding the complexity and making it core. Integrating sustainability thoroughly in the investment processes improves potential for return and help avoid inherent sustainability risks. However, sustainable investments in general need significant scaling to support the transition to a sustainable agenda. According to The World Bank, we are talking trillions of dollars of investment to reach the United Nations’ Sustainable Development Goals and the objectives of the Paris Agreement. How do you use the SDGs in your strategic work? We rate all companies we invest in from a sustainability perspective. By pushing the companies in a more sustainable direction, we contribute to the SDGs through our core business. Storebrand is a pioneer within sustainable investments and the SDGs are, as is, part of the analysis we have developed for our investment processes. But ambitions are now higher, and the goals are to be further integrated. Storebrand was named the second most sustainable company in the world in the 2017 annual Global100 list. How did you achieve this? By making sustainability core in our business. It was also the result of hard work and dedication. What would you say to other business leaders who are hesitant about making the SDGs part of their business strategy? There is no business on a dead planet. Not supporting a sustainable agenda is not an option. As mentioned, we are convinced that companies that take global challenges seriously will be the most profitable long term. We are in it for the long run and so should you. Storebrand is Norway’s largest private investor, managing assets of more than NOK 600 billion, and has integrated sustainability into all decision making processes.